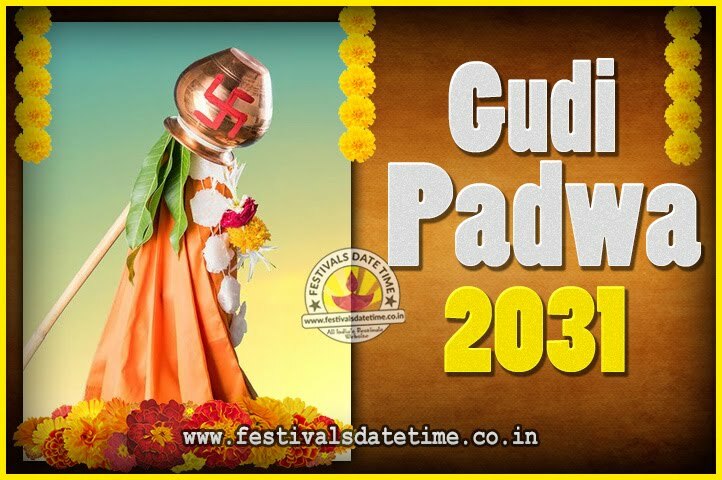 Gudi Padwa is a spring-time festival that marks the traditional new year for Marathi Hindus. It is celebrated in and near Maharashtra on the first day of the Chaitra month to mark the beginning of the New year according to the lunisolar Hindu calendar. The festival is observed with colorful floor decorations called rangoli, a special Gudhi flag (garlanded with flowers, mango and neem leaves, topped with upturned silver or copper vessel), street processions, dancing and festive foods. Gudi Padwa is the festival of grand celebration of the new year, and it mostly celebrated the people of Deccan. It is the coincides with the Udagi celebration in Andhra Pradesh.